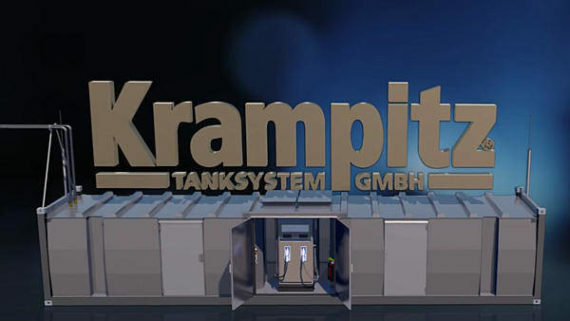 The Krampitz Tanksystem GmbH is a highly specified manufacturer of storage and transport tanks of steel. 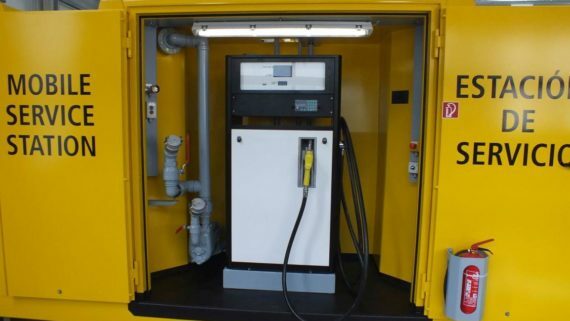 Our gas-station units are mainly used for the storage of fuel and lubricants as well as a fuel supply (diesel, biodiesel, petrol, kerosene, ethanol, bioethanol and vegetable oils) for trucks, cars, construction machines, mining machines, diesel locomotives, boats, yachts, airplaines and helicopter. 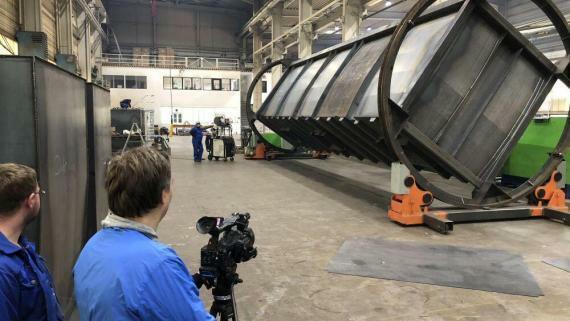 25 years of experiences in the construction of tanks, e.g., for extreme uses guarantee you a high quality, security and design of our products. 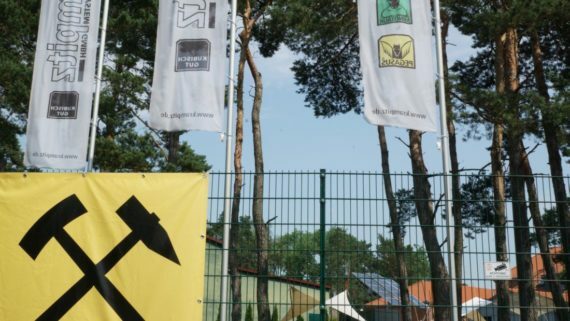 35,000 manufactured units stand for the trust of many customers from around the world. 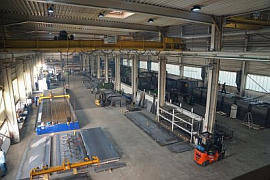 The within a millimetre manufacturing of the products meet not only the normal demands of the plant construction, but also to those of the mechanical engineering. 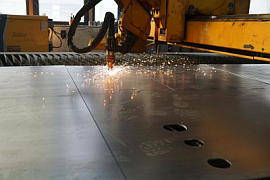 Our CNC-supported manufacturing guarantees constant high quality. 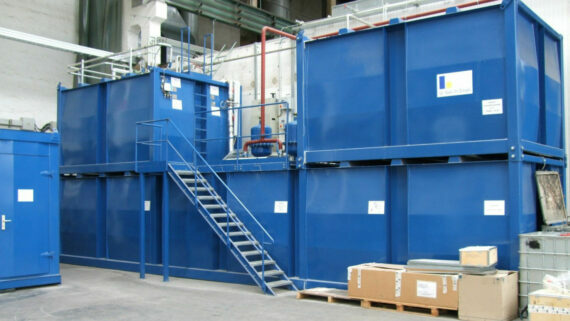 Comprehensive high-class tests accompany our tanks and containers during the whole manufacturing. 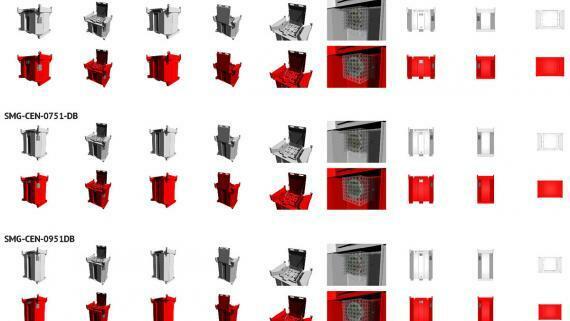 With our CAD designers we develop in addition to our standard tanks your customized design fast and competently. 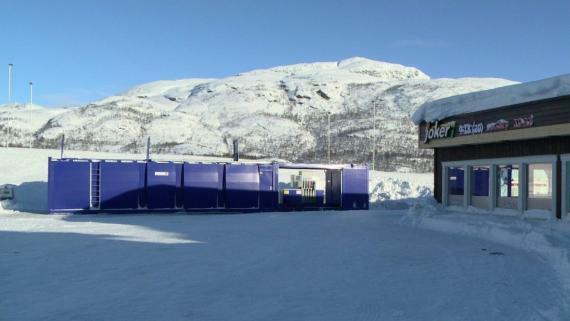 As a mobile gas station as well as drinking water tank. 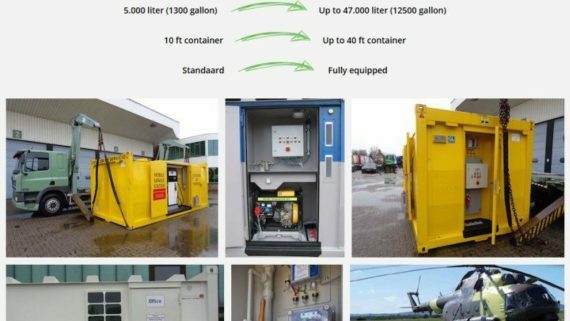 Our comprehensive licensing programme for our tanks, containers our equipment guarantees for you that our products always correspond to the newest state of technology. 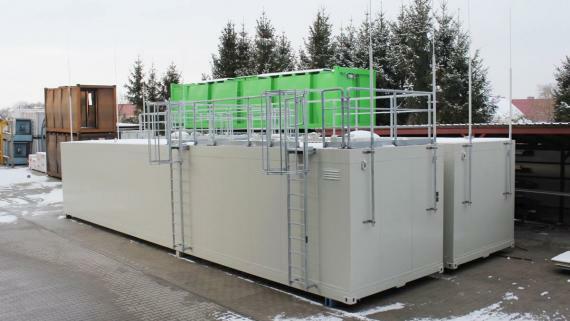 Our tank containers and constructions are in use on all continents worldwide, therefore, we know about the climatic characteristics in the respective regions of the world as well as around the special mechanical demand in certain parts of Africa, Asia and Latin America. 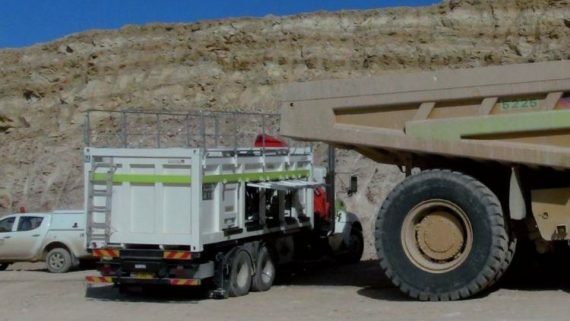 Our heavy mining containers even count after 15-year constant application as "unbreakable". 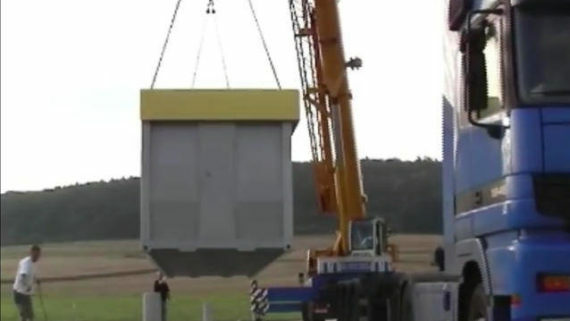 Our special trademark is our patented cubic form of structure. 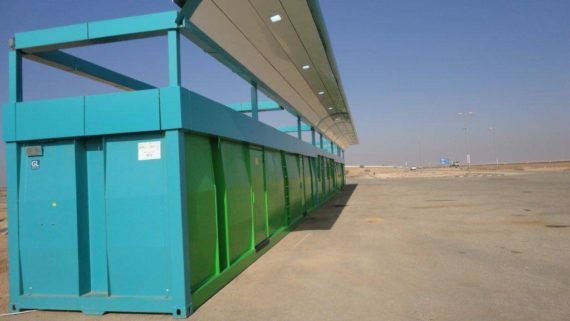 This guarantees for you an optimum utilisation of space, economical transports and the best integration in existing arrangements or infrastructure. Our tanks and containers are laid out for a long life expectancy. 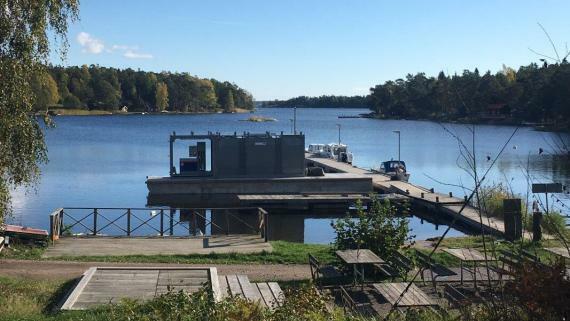 Therefore, countless construction details have flowed in onto the construction and the interpretation of our products to exclude damages by corrosion or overloading. 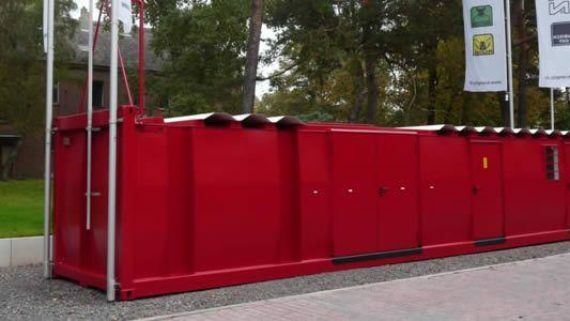 Our containers are produced with ISO-norm dimensions or special dimensions as well, if requested with GL or safety standards approval, in heavy full-steel quality. 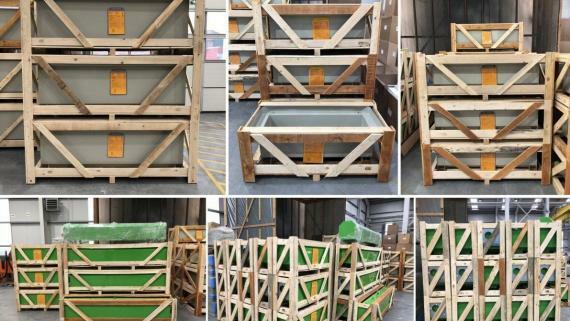 All essential construction parts are laid out after DIBT licensings and checked by verifiable calculations and are crafted. 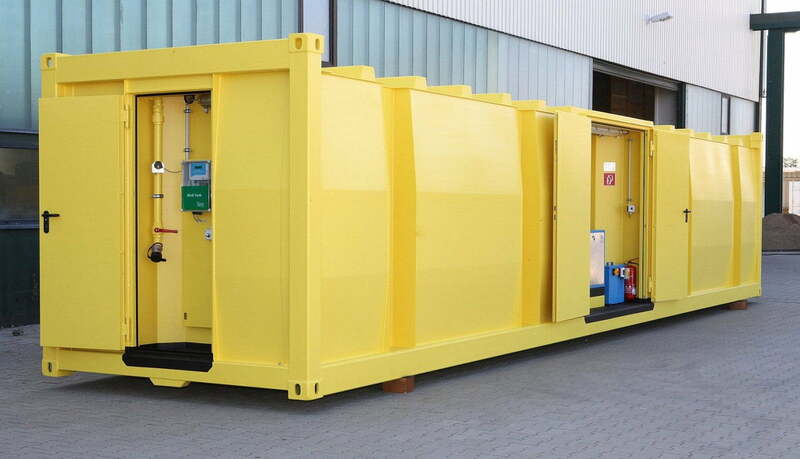 An extensive equipment range provides for varied container variations. 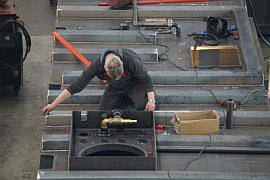 Excellent corrosion prevention coatings guarantee longevity. 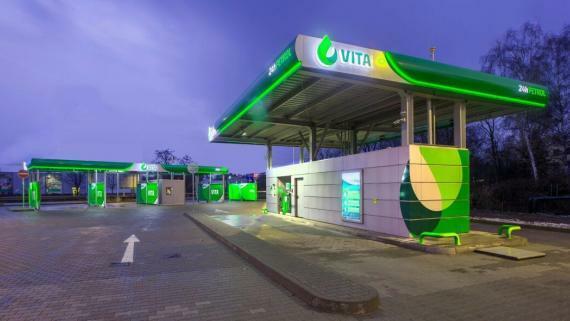 We construct and craft for you transport tank containers, storage tank containers, office containers, transport platforms, transport frames with enclosures as well as construction containers for procedure-technical processes. 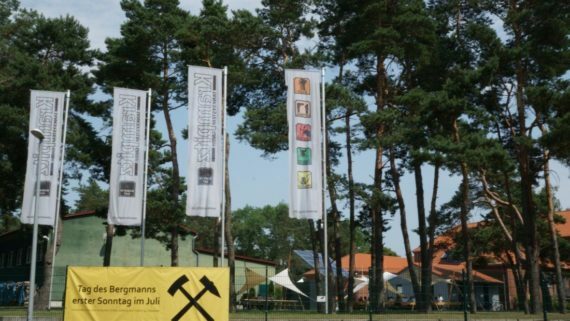 Security: Optimal safety concept by means of extensive national and international licensings for single-wall and double-wall tanks and containers. 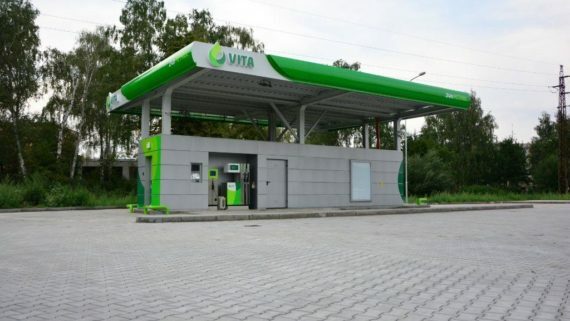 Price: Production of inexpensive, modular tank farms by means of building blocks philosophy with standardised equipment. 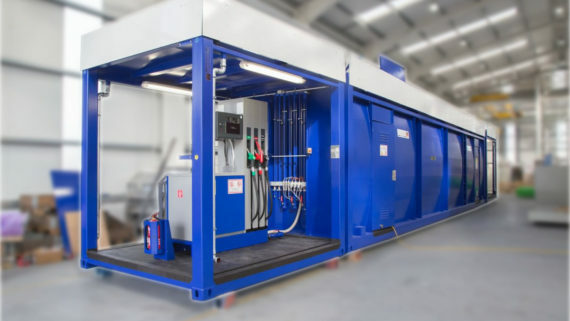 Time: Quick construction of our tank arrangements on site by premounted, transportable complete plants or in assemblies of disassembled constructions. 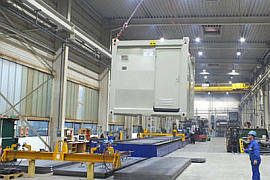 Assembly: Completeness of the equipment guarantees a problem-free assembly on site. 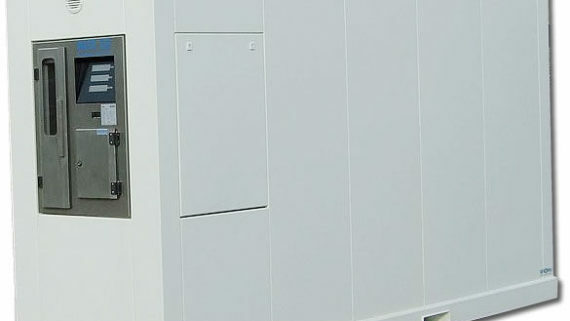 The delivery of complete systems is carried out with exactly defined interfaces. 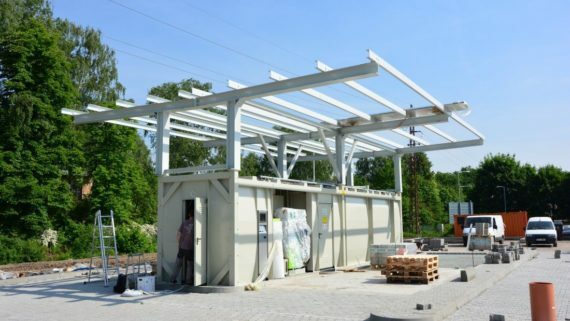 Construction: Individual CAD construction in the order processing. Life expectancy: Application of robust materials in the tank arrangement construction guarantees a long life expectancy. 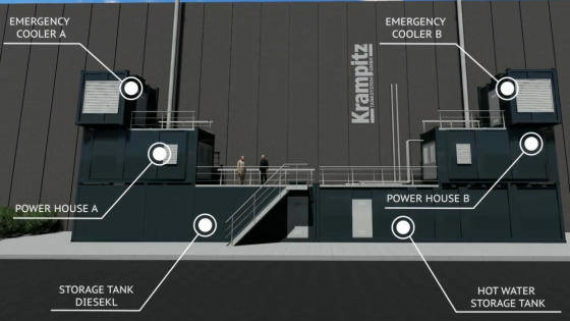 Modern product concepts accommodate to the demands of the next decades. Service: Excellent use thanks to a simple assembling of the construction and building blocks of the system. 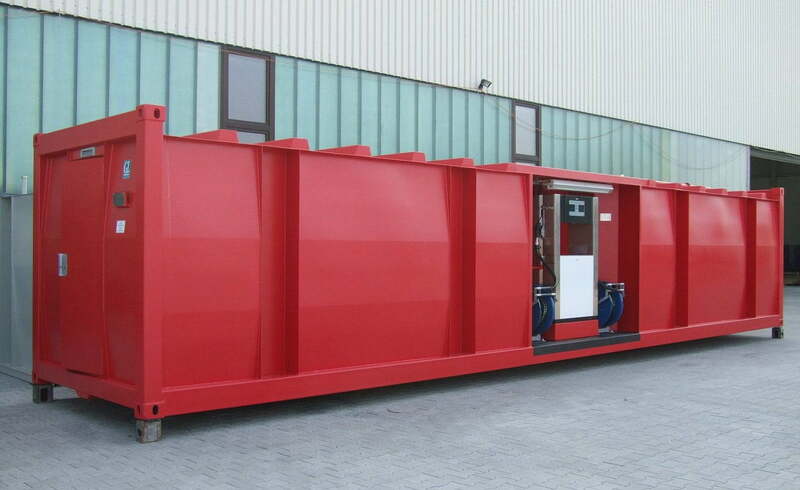 Space requirement: Cubic structural form and compact assembling guarantee minor space requirement and stacking properties of the tank containers. 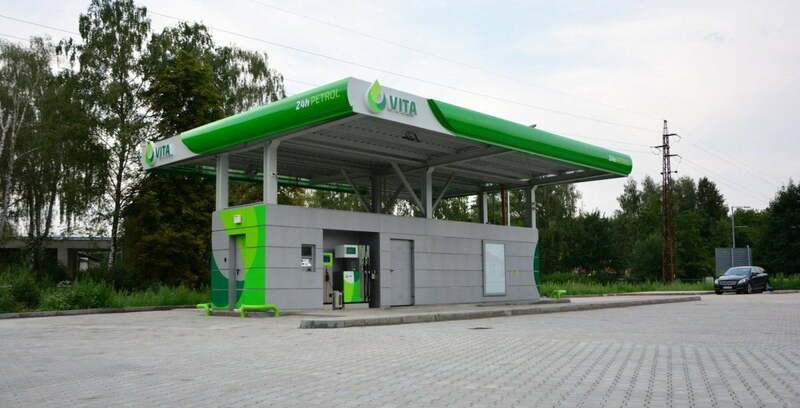 Design: The best possible integration in surroundings, by a modern design and individual colouration of our tank stations. 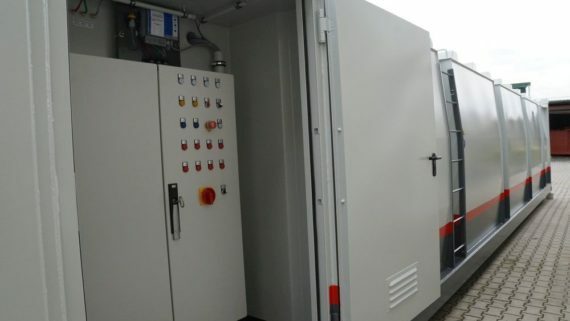 agricultural machinery will be operated. 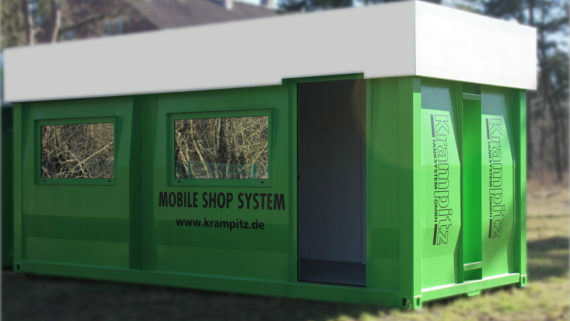 Also this year you will find us, the Krampitz Tanksystem GmbH, at the UNITI expo (Messe Stuttgart – 3/3D96). 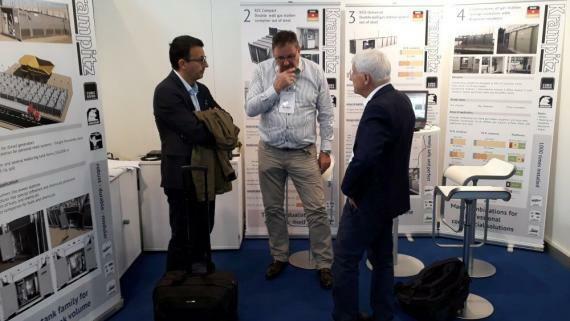 From May 15th to 17th, we are looking forward to having interesting conversations and making many new business contacts. 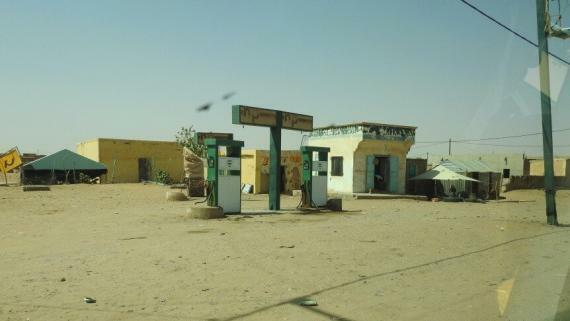 Why is the issue of fuel station containers as opposed to construction and expansion of traditional fuel stations so topical and acute? 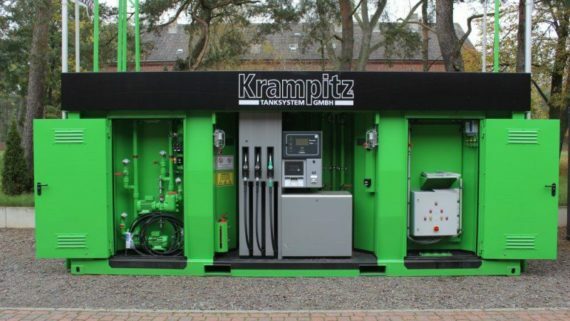 Krampitz has been manufacturing fuel station modules in containerized form since 1998. 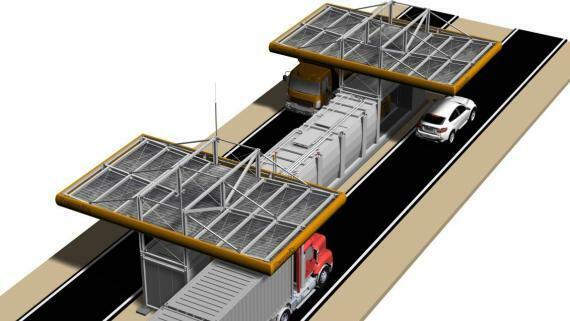 The first fuel stations were still without container transport frames in ISO standard dimensions. 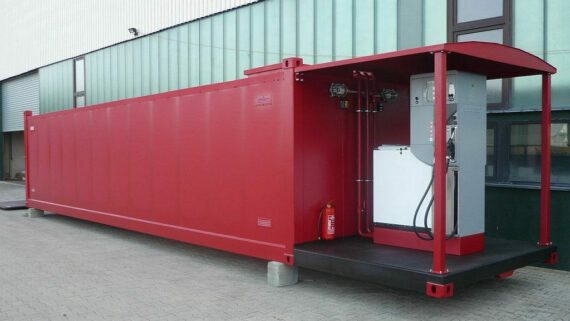 The production of container fuel stations started with the mentioned ISO transport frame at the end of 1999. 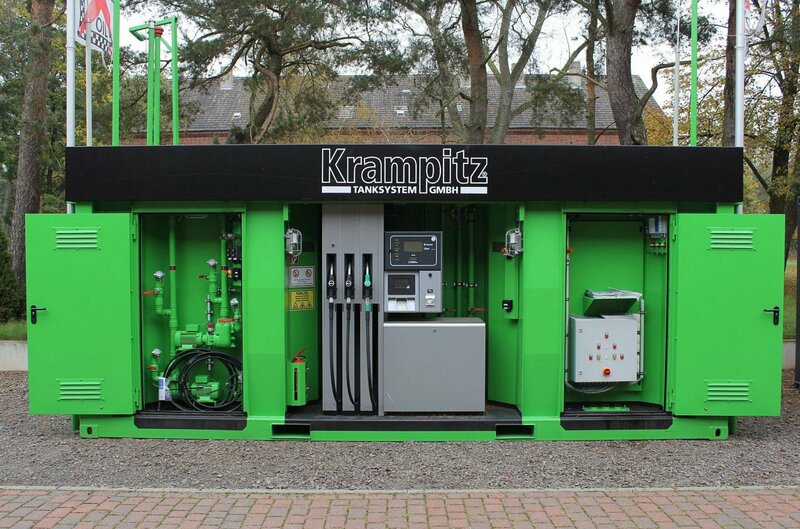 Tauri Film from Berlin documents the emergence of a prototype of the new Krampitz universal filling stations. 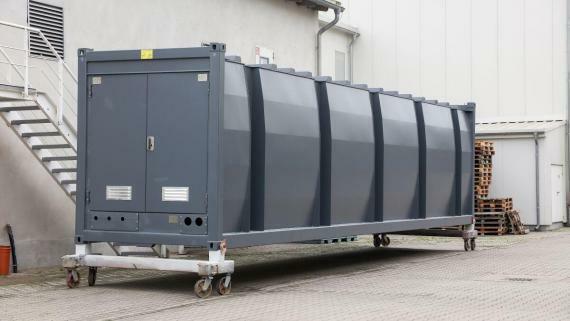 At high and low ambient temperatures, heat insulated storage tanks are an important measure for security of supply to industrial installations as well as to professional gas stations when housing temperature-sensitive media. 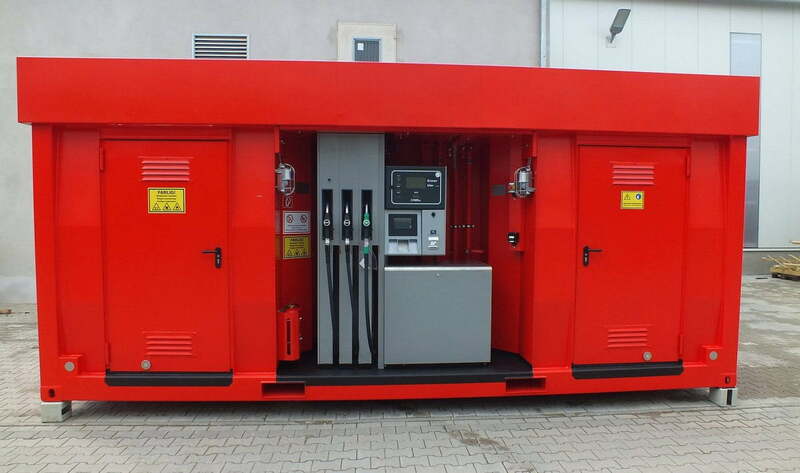 Krampitz 20ft gas station container – VW Mosolf Wolfsburg. 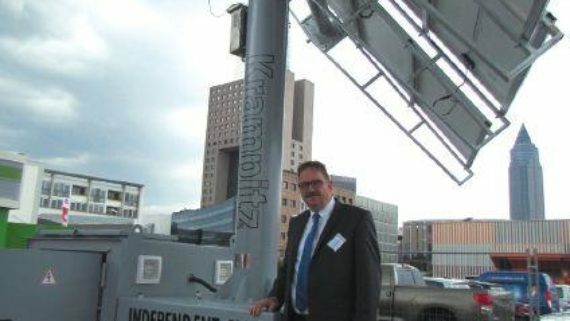 Gas station container of Krampitz tank system GmbH once again delivered to Saudi Arabia. 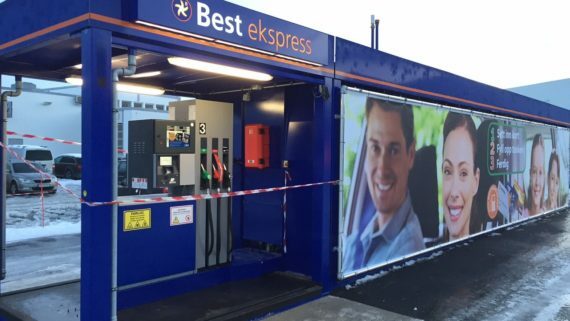 MINOTAUR® drivstoffstasjonssystem, for drivstofflevering til lastebiler, motorkjøretøy, anleggsmaskiner, gruvemaskiner, diesellokomotiv og båter med diesel, biodiesel, bensin, parafin, etanol og planteoljer. 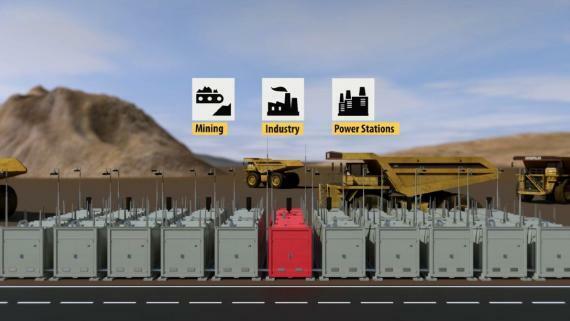 Mobile fuel station: your fuel distribution solution anywhere, anytime. 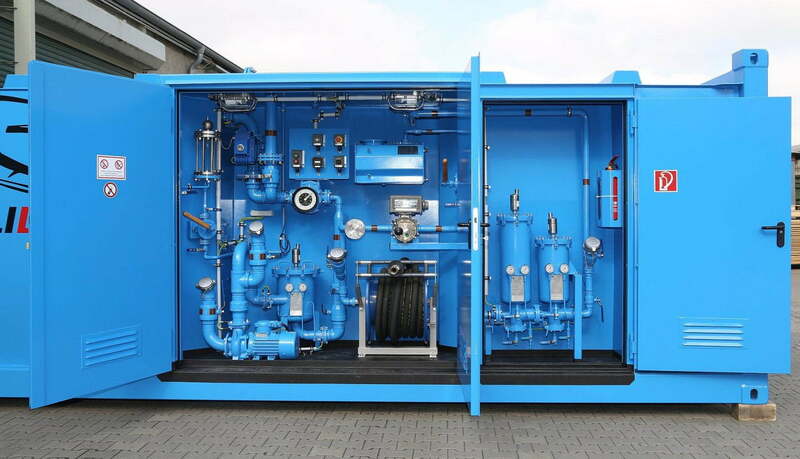 This top-notch solution for fuel distribution is developed by CRM Trucks & Trailers and built in Holland to perform anywhere and under any condition. 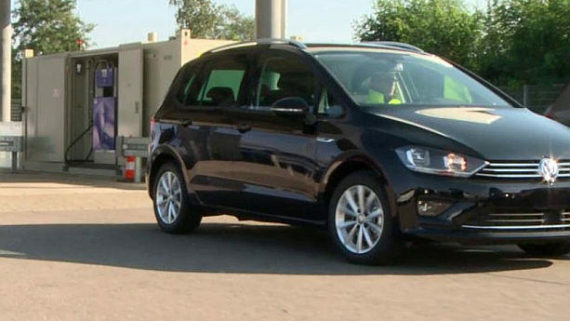 Entirely self-supported and mobile. 100% customizable to your specifications.